The Federal Government has dismissed claims that the international community has turned its back on President Muhammadu Buhari ahead of the February 16 presidential election. 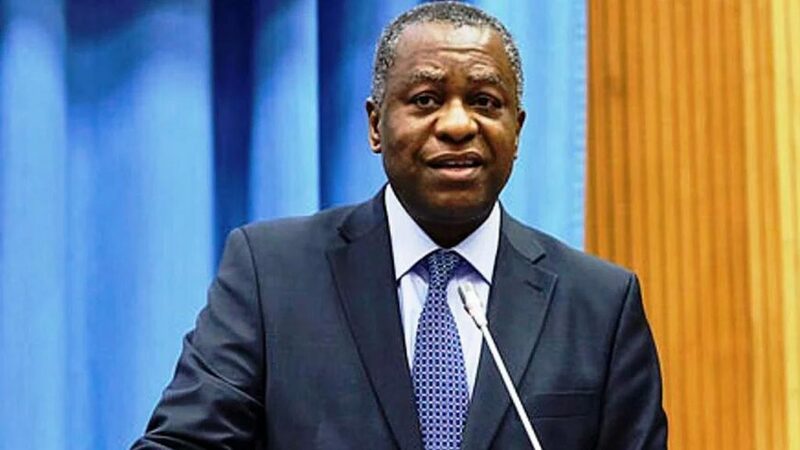 Minister of Foreign Affairs, Geoffrey Onyeama, told Sun that the notion making the rounds that the president no longer enjoys the support of the international community was fake news. He said contrary to the belief, other countries are very keen to maintain and indeed, strengthen bilateral relationship with President Buhari as Nigeriaâ€™s leader. According to him, â€œNot at all! Not at all! On the contrary, he has got a lot of outstanding invitations to visit a number of countries and they are all very keen to maintain and indeed, strengthen bilateral relationship with him at the helm of affairs of the country. â€œSo, far from it! I think on the contrary, they are still very much engaged with the country going forward. â€œIt is a weapon of the opposition clearly and also, a fake news. You have to hate somebody with whatever you can. So, they are clutching at straws. â€œThere was one that he was in Paris, but they said he wasnâ€™t really there, that he wasnâ€™t at the major events in Paris. â€œBut he went to Paris for one specific event and that was Peace Conference and he was one of the leaders who were given an opportunity to address an audience.